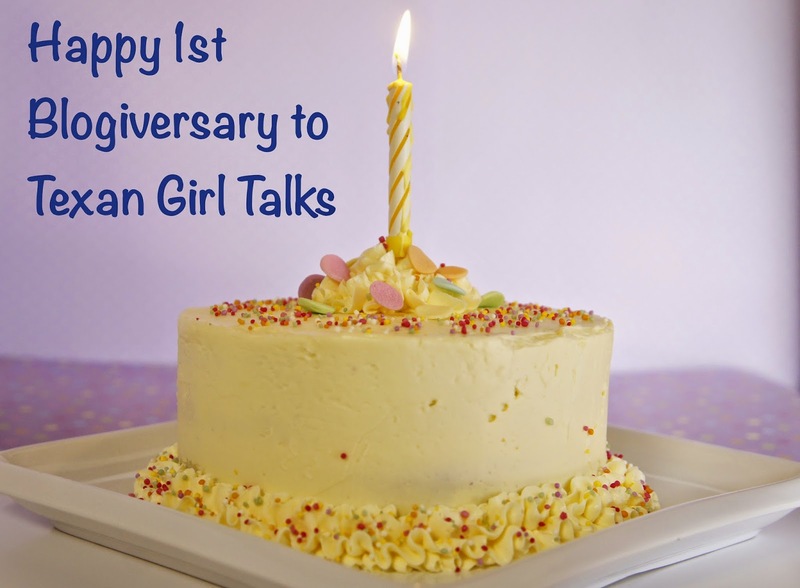 Texan Girl Talks: Happy 1st Blogiversary to TGT! April 1, 2014 I launched this little corner of the internet. A lot of people have asked why I started it, and that's when I think back to this month, a year ago and wonder why I did. So the day before my very first test of my high-risk OB and Pediatrics class, I launched this blog. Nothing like adding more stuff to your plate, when it's already overflowing, right?! At this point last year, my husband was deployed and I was drowning in nursing school. I needed a place to put my thoughts, these random, crazy thoughts. It turned out to be one of the most therapeutic things I did. I read a lot of amazing blogs and they inspire me. To do better. To be better. To do something for me. So all in all, I wanted to do the same thing for someone else that needed something positive to read on this corner of the internet. Something that either made them laugh, brightened their day, or motivated them to do something great. I haven't really decided where this blog will go, or what it will eventually be. BUT I'm pretty happy with the way it is right now. Carefree. I want to say thanks for reading and supporting all my craziness and ramblings that pours out of my head and on to this blog.